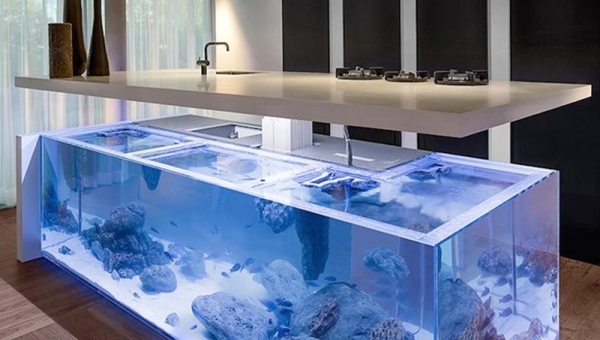 Would you like to have an underwater adventure every time you go in the kitchen to prepare your next meal? No, we’re not talking about drowning in the bottomless pit of dishes you’ll have to do afterwards. 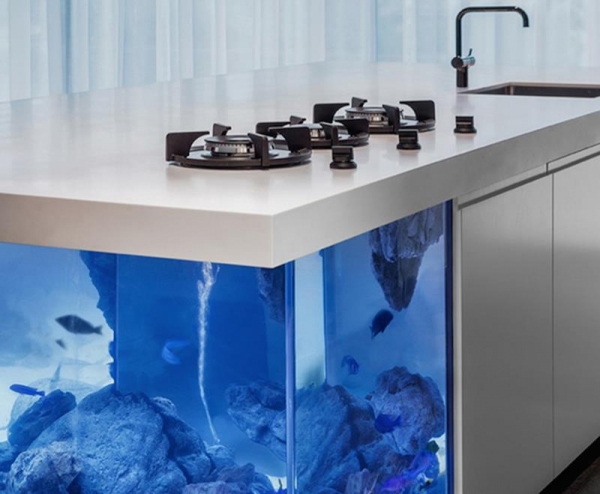 Rather, give yourself the gift of exquisite flair with this aquarium kitchen island designed by Dutch designer Robert Kolenik! You won’t have to worry about going outside your home for the best restaurant experience ever again. Known as the “Ocean Kitchen”, this aquarium kitchen island adds life to a basic contemporary style. This particular rendition is just a glimpse of what Kolenik can custom-make for different client needs and requests. 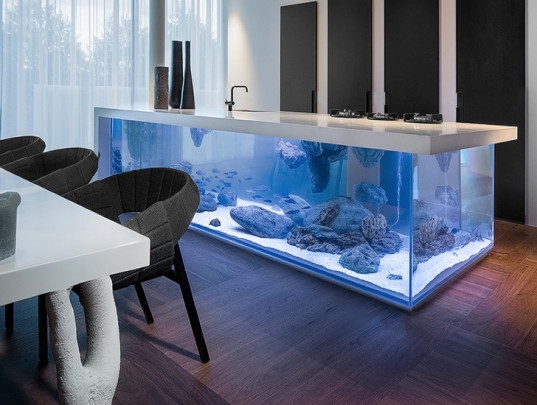 To top off this lavish design is piece of high quality acrylic and natural minerals, called Corian. 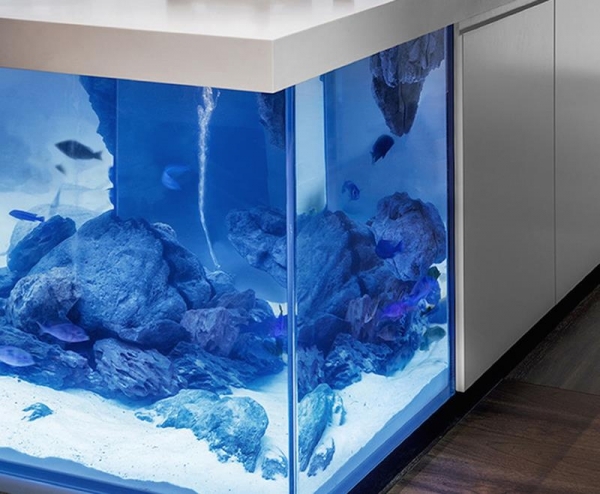 Not only does this aquarium kitchen island provide great visuals to please the eye, it also provides secret storage space that allows for you to conceal all your kitchen essentials with ease. 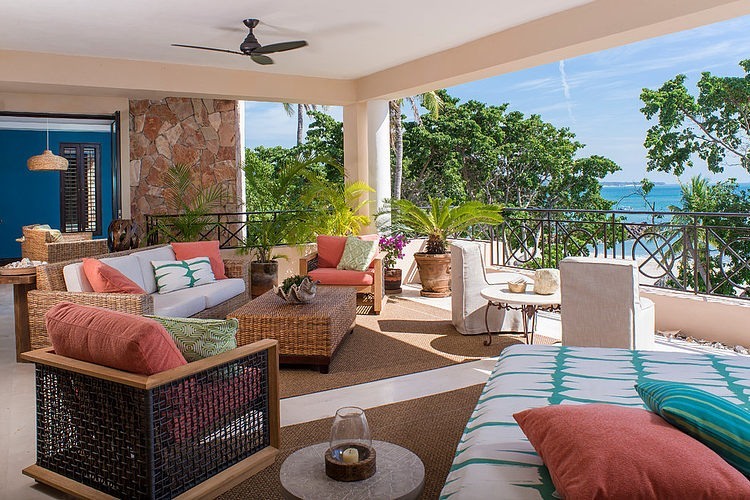 There’s nothing we love more than multi-functional décor and furniture that can withstand the wear and tear. Nature never ceases to enhance any environment for the better! Swimming with the fishes takes on a whole new definition!